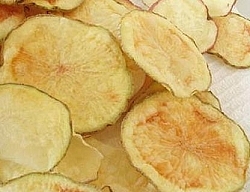 These organic potato chips are made from organic potatoes and organic lard from the Miller's Farm hogs. 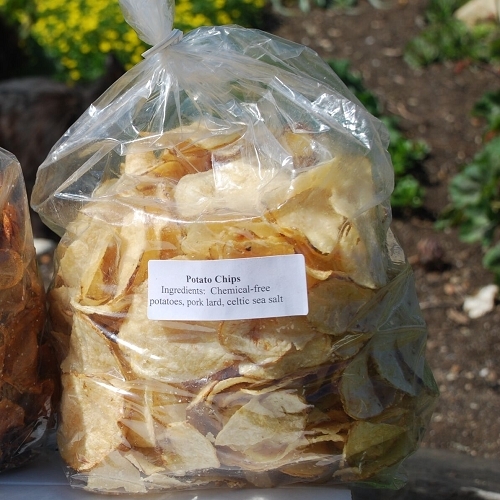 These chips only lasted a couple of days! They melted in our mouths, and the kids LOVED them! I'm ordering 4 bags next time!